Keith Laplante spent his twenties playing bass in a touring rock band, but today he has the spotlight all to himself. Laplante is one of ExperiencePoint’s master facilitators and a favorite workshop leader for some of ExperiencePoint’s largest global clients. Keith’s success has been built on his ability to transform corporate cultures by spearheading innovative process improvements and inspiring even the most stubborn stakeholders to embrace new methods of problem solving that focus on customer needs. “I like to help organizations reframe their challenges in a way that is both human-centric and leaves room for multiple, new potential solutions to emerge,” says Laplante of his approach. He sat down with the ExperiencePoint team recently to talk about his journey to becoming a design thinking rock star, and what he learned along the way. What is the one thing that you wish people knew before they came to a workshop? I wish they knew that this would be an introduction to a discipline and way of thinking that would take time and practice to master. I think many participants come to these workshops believing that we will teach them a methodology that they can implement in a “checklist” kind of way. 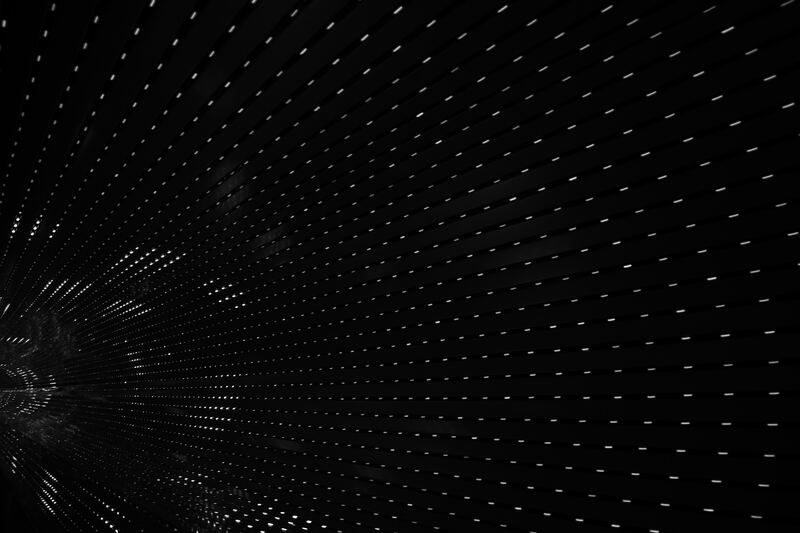 The truth is it is more subtle and more complex than that. Design Thinking is more of a mindset than a methodology. It is powerful and incredibly impactful and, as with all things worth having or doing, it requires some effort and dedication on the part of those seeking to leverage it. One design thinking workshop is not going to provide you with the proverbial “silver bullet” to solve your current problems but it will equip you with the fundamentals to mine the silver, build a forge and cast an arsenal of those bullets to contend with current and future challenges. You just need to be willing to make the effort. How did you first learn about design thinking? It was by attending an early version of ExperienceInnovation that I was first exposed to design thinking. While working for a partner firm, who specialized in the leadership development space, I participated in ExperiencePoint’s design thinking workshop at one of our annual professional development retreats and became fascinated with the whole thing! How did you become a design thinking facilitator? After attending ExperienceInnovation, I got certified on behalf of the firm so we could incorporate the tool into our own programs. 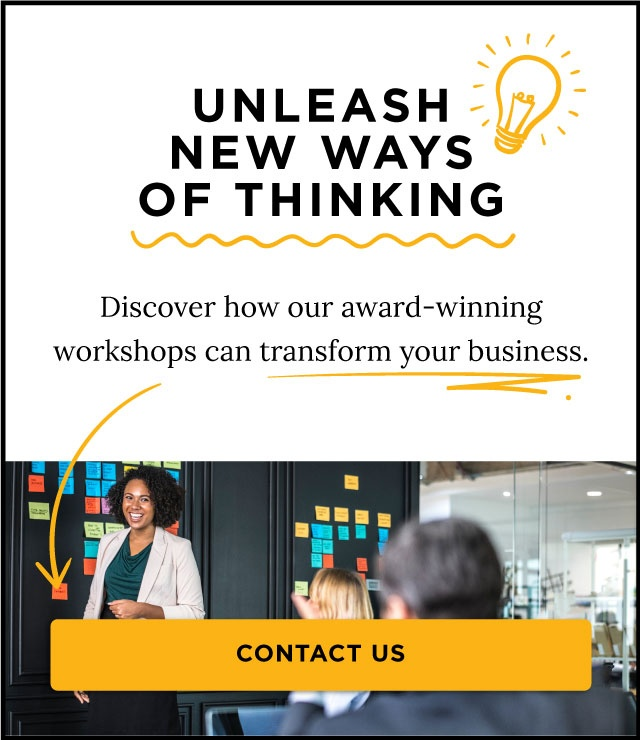 I was so impressed with the impact that design thinking was having on our clients (especially when combined with ExperienceChange as a tool to help round out the innovation process) that when the opportunity presented itself to work with ExperiencePoint exclusively, I jumped at the chance. What are the biggest benefits organizations get from using design thinking to an organization? Design thinking helps organizations understand the power of ethnographic research and the value of truly understanding their “user” in a way that can lead to developing really meaningful solutions to bring to the world. It also instills and reinforces a culture of experimentation where “failing” is embraced as learning, and results are used to iterate and evolve ideas to a much more impactful state before any substantial investment (either financial or otherwise) is made. What is the most common misconception that people have about design thinking? That it is time consuming and requires a significant allocation of resources. The truth is, it is just the opposite. By time-boxing all activities, working in small teams and staying laser-focused on the task at hand, it actually accelerates the “problem solving” process dramatically while helping to ensure that the solutions you develop are truly “mapped” to the real needs of your users. What is one thing about you that would surprise your workshop participants? My workshop participants would likely be surprised to learn that I paid for a three-year undergraduate degree in part by playing bass guitar in a touring rock-and-roll band. If you were not a design thinking facilitator what would you be? If you were stuck on an island with one other person who would you chose? I guess maybe Daniel Defoe, the author of “Robinson Crusoe.” There’s a guy who knew how to survive if you were trapped on an island! 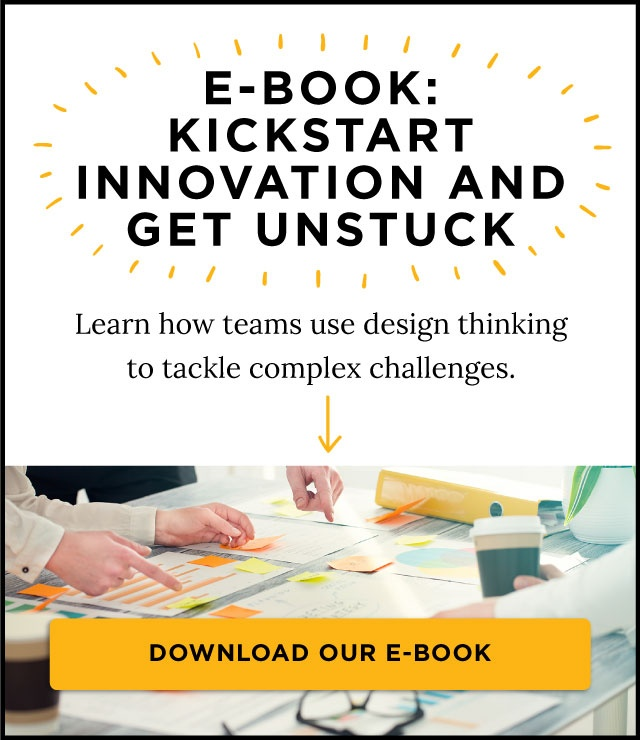 What is your favorite book or resource on design thinking and why? Creative Confidence by David and Tom Kelley. I really appreciate their storytelling approach in the book and their acknowledgement that we are all inherently creative. For most of us our creativity has been educated away. It is still there but it has been suppressed. With some effort, we can all revive it and apply it to all of the challenges we face in our lives. What’s the last YouTube video you watched? What can we learn from shortcuts? It is a TedTalk by designer Tom Hulme on how to build products that people really want, and how to make consumers part of that process. It’s only about seven minutes long and has some great examples of how user experience can influence design in interesting ways. Keith LaPlante is a Master Facilitator at ExperiencePoint. Keith leverages 22 years of experience in financial services along with a decade of service in the Royal Canadian Navy to design and deliver working models, design sprints, change interventions and training programs to develop and apply user-centric problem solving approaches and solutions. Keith has worked with global organizations including JP Morgan, Microsoft, Citigroup, Coca-Cola, Visa, Standard & Poors, AAA and The Ford Motor Company. He has also taught executives at leading universities, including Harvard Business School, University of North Carolina and Duke University.